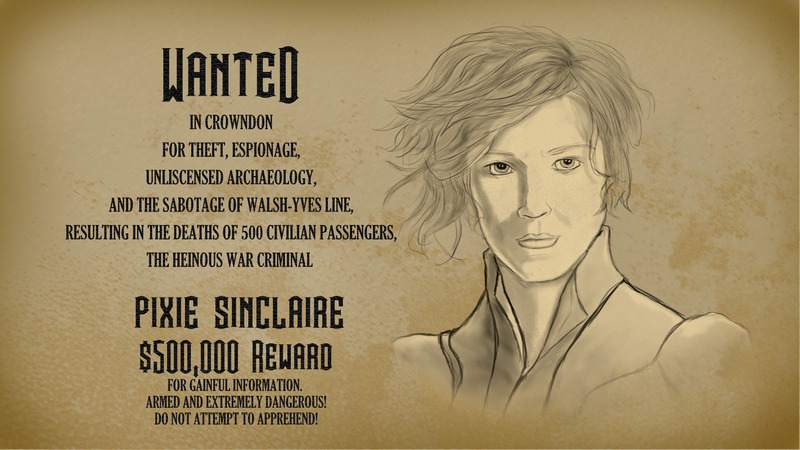 Last week I did a Blackwood Gazette accompanied by a mock wanted poster. 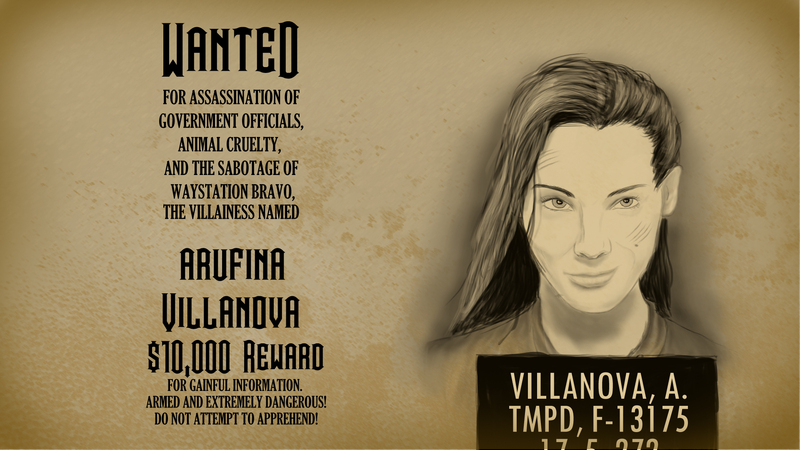 I had a lot of fun making that poster, so I decided to do a bunch more for some of the major players in these stories. Enjoy! 18/12- With northern territories in one of the wealthiest, most developed Empires in the world going dark with no way to contact them this winter, critics have turned their eye to several projects associated with Crowndonian interests. This year, Crowndon has announced two high profile, very expensive, and some would say frivolous projects: the first being the joint Imperial effort to build an ocean born super-prison, and the second being the development of a commercial fixed wing aircraft. Advocates for both projects quickly issued a response. “Mister Wellerby’s concerns are well intentioned, I’m sure,” claimed a statement by Pavil Lyons, Crowndon’s Secretary of Industrial Development and Oversight. “But they are unfounded. The prison project is being funded mostly by independent interests, as most everyone knows and complained about earlier this year. Any money spent by the Crown is limited to fees for services rendered. And since there is currently no prison, there are no services being rendered, and no coin being spent by the Crown. Wellerby waved off the statement when asked to respond, and in his words one can almost visualize him shaking his head. That super-prison in today’s post? It got built! Find out what happens to it in the full length novel, Where, No One Knows! 13/10- I found getting back to the boat a bit slow going. 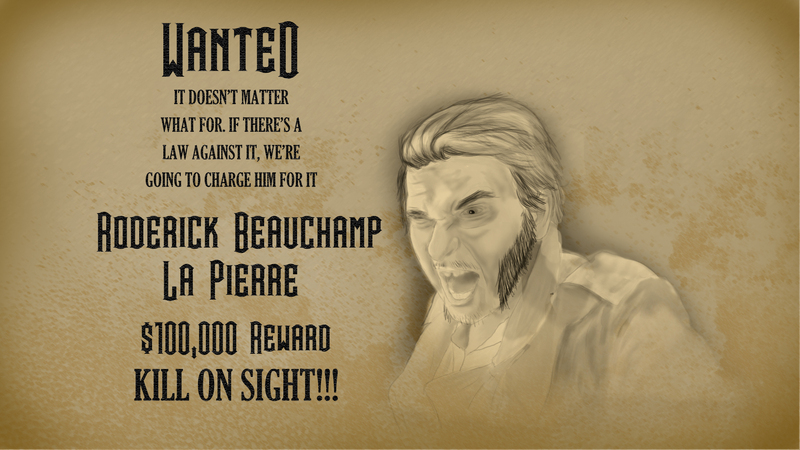 My head was still reeling from the events, mainly from coming face to face with the man behind so much horror here in the colonies, and from finding out I had helped a wanted fugitive. 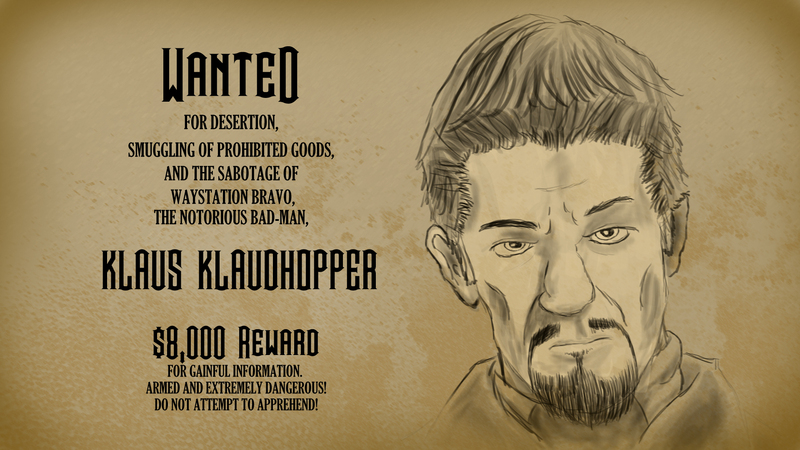 The fact that Von Grimm had called the Rommsbachian ‘Mister Klaudhopper’ didn’t fully dawn on me until I was half way back to the docks, and it was only after seeing a poster for Klaus Klaudhopper that I fully put the picture together. I told myself that it was better that the only person who may be able to answer questions about what happened on Waystation Bravo should get away from Dr. Argyle Von Grimm, even if it meant he was still at large. However, I deigned to alert the proper authorities that Klaudhopper was in the area. Once returning to the docks, I located a Marshall’s office and told the singular man working the desk what had occurred. he informed me that they were well aware of Von Grimm’s presence. They had not heard of Klaudhopper, however, nor did they seem particularly interested. Understandable, I suppose, given the more immediate threat of a bunch of mechanized hoodlums tearing the town apart. Since Von Grimm and Klaudhopper were both involved, I felt it likely that dealing with one may mean dealing with the other, so I did not push the matter. It was only after returning to the boat that I realized that would not happen, for who did I find, standing on the deck, looking out over the river? Klaus Klaudhopper. I must have gasped in surprised, or made some sort of noise, because he turned to me. Recognition came over his face and he smiled. He thanked me for helping him escape. It took me off guard. While he struck me as a dangerous man, I did not think him necessarily an evil one, certainly not someone who would maliciously cause the destruction of a Waystation. I told him I knew who he was, and let him know who I was. I agreed to his terms. Little did I know that we would not get the opportunity. Blackwood Gazette #62-Are You Ready for Some Fool’s Ball? 5/9-The Imperial Fool’s Ball League, the sport that has swept Crowndon gaming to the detriment of all other athletic endeavors, opened its third season last night. Thousands of fans, all of them under the delusion that their team is the best and that they somehow personally contribute to said team’s victory, came out in droves last night to eat smoked meat products and be rude to each other. The sudden popularity of the sport has sparked the interest of sociologists in Nor Easter last year, who this year have decided to study the game, the behaviors of its fans, and its impacts, psychologically, physically, and economically. The rioting, this sociologist says, lays at the crux of his study. It is a strange phenomenon, he says, that does not appear to be contingent upon victory or defeat, nor does it appear to happen with any regularity. The proliferation of the sport has left many scholars baffled, particularly at the traction it has gotten in Crowndon, of all places. Crowndon is, after all, often characterized by their collective humorlessness. I asked a few fans what they saw in the game. That’s not to say the game does not have its fans outside of Crowndon. 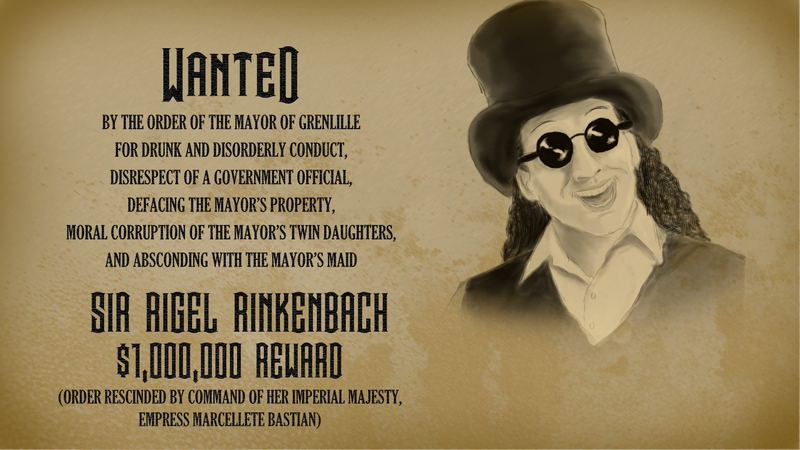 At least one high profile Nor Easterner, Sir Rigel Rinkenbach, has taken an interest.